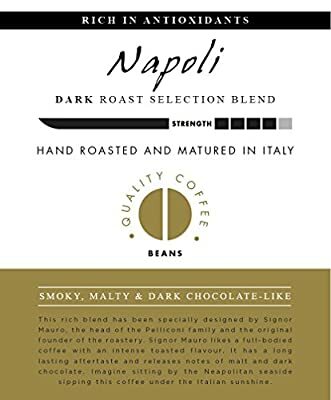 This rich blend has been especially designed by Signor Mauro, the head of the Pelliconi family and the original founder of the roastery. Signor Mauro likes a full-bodied coffee with an intense toasted flavour. It has a long lasting aftertaste and releases notes of malt and dark chocolate. Imagine sitting by the Neapolitan seaside sipping this coffee under the Italian sunshine. 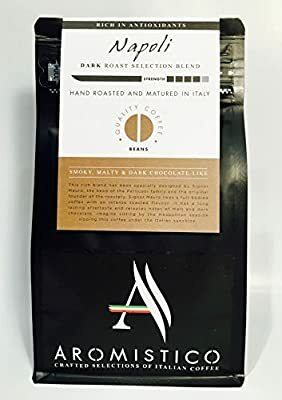 RICH & STRONG, SMOKY, MALTY AND DARK CHOCOLATE-LIKE - RICH IN ANTIOXIDANTS / Also available as GROUND, see our Seller Store ITALIAN ARTISAN GOURMET HAND ROASTED WHOLE COFFEE BEANS, ROASTED IN IN SMALL BATCHES IN LAKE GARDA, ITALY A RICH BLEND OF COFFEE FROM THE BRAZILIAN COAST OF SANTOS, FINEST KAAPI ROYALE OF INDIA AND FROM THE MOUNTAINS OF CENTRAL AFRICA . 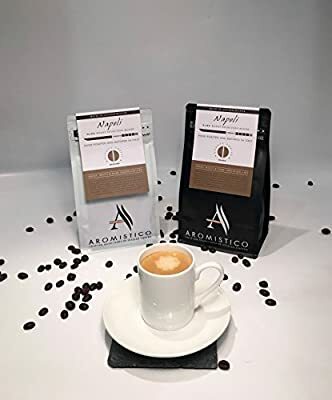 Using carefully balanced and crafted combinations of quality arabica and robusta, with Aromistico we have developed distinct Italian blends all different in strength and with distinguishing notes, but with a reoccurring aftertaste theme. SUITABLE FOR ALL COFFEE MAKERS. 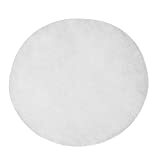 It makes especially good cafetiere or aeropress coffee. Full of aroma and with a signature aftertaste. Strength: Dark Roast 5 (out of 5) VALVE and EASY RESEAL BAG, NOT AVAILABLE IN SUPERMARKETS. 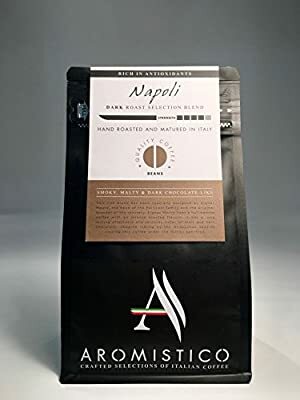 Produced by the Pelliconi Family, Independent Italian Artisan Roasters. 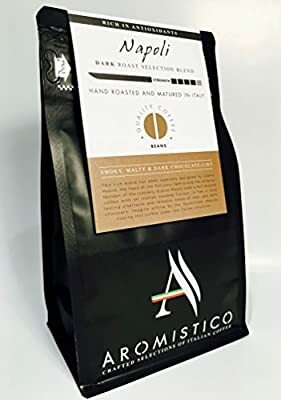 To best ensure you receive fresh coffee, we roast and ship to Amazon regularly in small batches: our aim is for you to experience the real difference of Italian freshly roasted coffee.